To this day, I still remember my experiences with Halo 2 and Halo 3 online multiplayer due to the veracity of Bungie’s execution of gunplay, ranking systems, ease of playing with others, and some truly unforgettable maps. It’s no surprise considering my relationship with the series, especially when hurled into the online era, bordered on addiction, both when hopelessly enthralled while playing and consumed with thoughts about the game when sitting idly. 2007 was the perfect storm as far as myself and untamed, nearly compulsory, gaming hedonism is concerned. I was 16 at the time and Xbox Live was growing into a monstrosity of a social phenomenon. I had started out with Xbox Live on the original Xbox but with the Xbox 360, console connectivity was truly starting to mature and materialize into something that would set the stage for all future generations of consoles. Hopping on Xbox 360 and playing with friends was the perfect after school activity – it was just something you did. And damn was it fun as a teenager flying just below the surface of the realities of life. 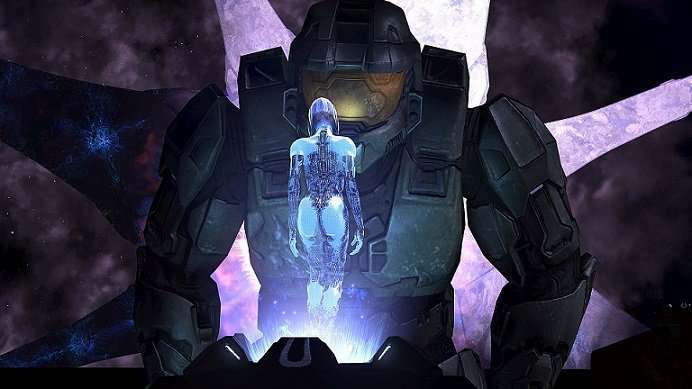 Halo 2 had gripped me so hard that by the time Halo 3 was being teased and propped for release, I was consumed by the thought of any new media, news, or concrete information I could get my hands on. The summer before the official release of Halo 3 I was in Hungary with my family visiting relatives. It was my first experience abroad and so the sights, sounds, and exposure to an entirely different culture was nearly revelatory. I was also able to intimately connect with a large, loving family, many of which I had never met. The stage was set for a pivotal point in my brief lapse of living. And still, all the while surrounded by beauty inside and out, I need a taste of what was to come out of Bellevue, Washington. The stone age. When one had to use a computer to browse the internet. This was before the era of Galaxy S8’s and iPhone X’s running rampant in the hands of masses, so you have to understand that when I came across the opportunity to hop on the internet, I did so with the glaze of restless intention. Never mind the foreign menu in the McDonalds on that gold tinted afternoon, the vacant computer in the far right corner was infinitely more appetizing than any chemical culinary mashup ever could be. I took the opportunity and loaded up the English variant of Google. I wasn’t on long but I distinctly remember seeing miscellaneous information related to the multiplayer and more vividly, the map Sandtrap. It wasn’t a lot but it was enough to tide me over. This youth filled example of my adoration for one of the best console shooters of all time, no doubt in part fueled by nostalgia, always makes me think about what makes modern shooters stand out in the sea of competition, and more importantly, why so many falter. It’s most likely the culmination of polish, maps, modes, narrative, and overall fun factor. But by taking a glance at the modern landscape of popular shooters, it’s readily apparent that it isn’t a mere exercise in checking things off of a list. And to me, the current venue of the genre is a bit puzzling as far as the backbone of first person and third person shooters is concerned. That is, the gunplay found in modern shooters is a mixed bag. So many otherwise excellent games fail to nail the most important mechanic, and likewise, quite a few mediocre games execute gunplay to perfection. More importantly, it doesn’t seem to be much of a pressing issue to the masses, mostly bubbling up in discussion among those more heavily invested in the genre. And this makes the gunplay conundrum all the more depressing. On paper, the composition of gunplay in shooters is something that should be insultingly simple to both recognize and emulate with competence. In reality, this hallmark of shooters is vastly more complicated than what meets the eye. Gunplay, as experienced between the interplay between controller, player, and tv, is the sum of a smattering of different variables. All of this collectively mashes together in a way that gives each and every shooter a distinct flavor profile, and it’s why gunplay isn’t a mere binary operant that is determined by whether or not an in game weapon is working or not. It’s part of the reason why someone might prefer a game like Destiny to a one like Call of Duty. Yes, gameplay also differs in these two titles, something interrelated but also separate from gunplay, but the act of shooting, and how shooting meshes with the game world, is part of what this preference hinges on. So, why then is gunplay so difficult to quantify? And what factors preface how shooting feels in a game? 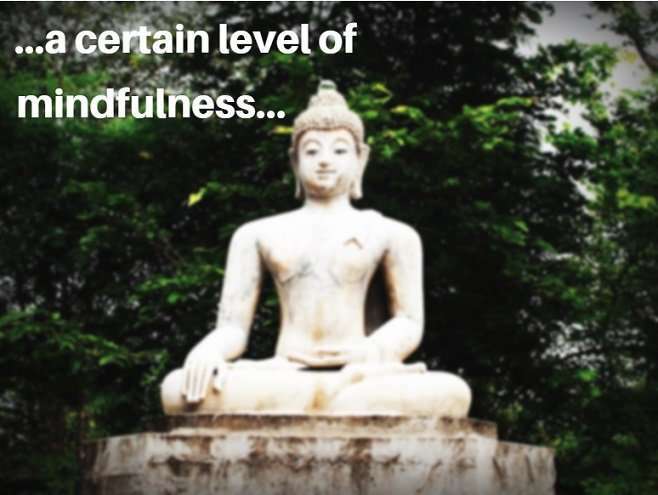 I think recognizing great gunplay, and the factors which create shooting that feels excellent, requires a certain level of mindfulness. It’s a level of effort that I don’t think many feel is necessary. And who can blame them, video games are entertainment first and foremost. As a result of this, it’s most likely something developers aren’t willing to invest more resources into past the point of competency. Why would you spend more money on something that is already serviceable, and will not be recognized by the majority upon further refinement? One prime example of this is the current lightning in a bottle that is Fortnite Battle Royale. The game has escalated in popularity with momentum that just doesn’t seem to quit, reaching over 30 million players and forging itself as one of the most watched games on Twitch. It’s a great game that has miles to grow with the unending amount of content updates it receives on a regular basis. I’ve played over 20 hours with friends and it is without a doubt one of the best gaming experiences you can have right now, and it’s entirely free. But upon loading up Fortnite for the first time with some friends, we quickly realized that something about the shooting felt a little off. It wasn’t sacrilege in the face of monolithic heavy hitters, per se, but it also wasn’t up to par with some of the other games we enjoyed playing like Rainbow Six Siege or Destiny 2. One of my friends, Sean, was actually one of the first to comment on this observation. The funny thing about it is that he is usually someone that doesn’t keep a watchful eye on things like gunplay. I’ve even had conversations with him desperately trying to convey the fact that Destiny had vastly superior gunplay than Borderlands despite Borderlands excelling in other areas. Trying to pinpoint where mediocre and excellent gunplay fork off into differing paths is much more than one single component. In my experience, with games such as Call of Duty, Fear, Gears of War, Halo, and Destiny, what makes gunplay become something more than a means to an end starts and stops with the overall feel, but it is many different dynamic parts that feed the beast so to speak. Gunplay is the “holy trinity” of sight, sound, and feedback experienced through playing. Above all, my experience with first and third person shooters leads me to believe that gunplay , as an entire package, feeds on the delicate “holy trinity” of sight, sound, and feedback. In a game like Halo 3, gunplay starts with the simple yet distinct visuals of a gun like the Battle Rifle, and is further punctuated by the hallmark visual cue of the crosshair consisting of a circle marked with small lines at each quadrant. I’ve always been partial to Bungie’s art direction in the Halo series, and in my opinion, it peaked with Halo 3. Everything from map aesthetics right down to graphic design found in its competitive ranking system delivered a sense of cohesion and stylized escapism of wonder and mystery. And Halo 3’s weaponry, while often simple aesthetically, was always true to this execution. 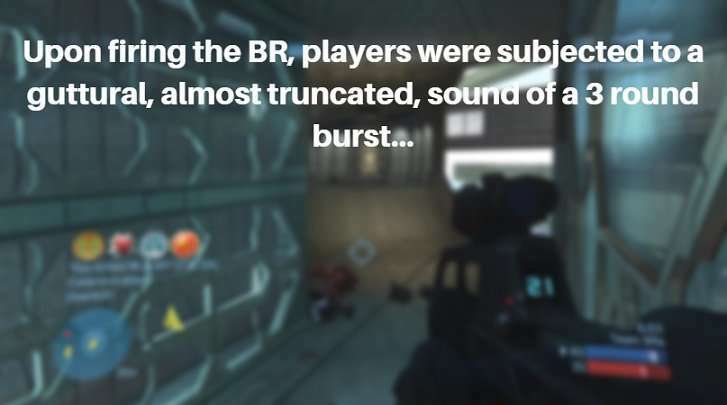 Upon firing the BR, players were subjected to a guttural, almost truncated, sound of a 3 round burst that let you know visually what was happening by an instant muzzle flash. For all of the inconsistency Halo has suffered over the years with weapons such as the pistol, the Battle Rifle in Halo 3 was clear in its intentions the moment you picked it up and fired the first burst. Real world results of the BR, and this applies to nearly every iteration with the weapon, only escalated the basic foundation laid by the visuals and audio. Dropping into multiplayer online was simply satisfying as hell, because as soon as you engaged and made a dent in another player’s shields, you’d be notified via a tactful visual “pop”. 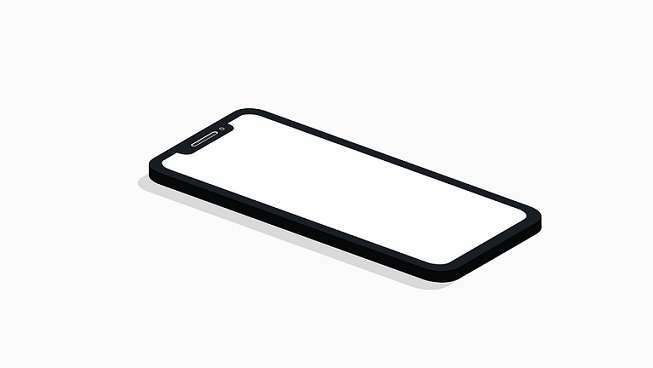 But it wasn’t just akin to the modern mobile game phenomenon of leeching off of our psychological shortcomings, it served a very useful purpose. Once you were able to claim the hallmark shield pop on another player, you were truly able to dive into the dance between your weaponry, skills, and your opponent. One more shot to the head was all it took to put them down, and the high time to kill of Halo 3 made this moment the proverbial third course in a 3 course meal, and subsequently, full of that elusive thrill missing from so many modern shooters these days. The punchy gunplay that Bungie had perfected with prior entries in the series was there, at every moment, to guide each and every encounter along in such a way that made fights stick, and leave you itching for more. Call of Duty, like the Halo games, truly started making headway last generation on the PS3 and Xbox 360. Call of Duty 4, along with Halo 3, laid the foundation of console based online shooters and what they have become with current titans of the market such as Fortnite, Overwatch, and Rainbow Six Siege. Call of Duty 4 was much more than an incredibly fun and rewarding first person shooter, it was a proof of concept. 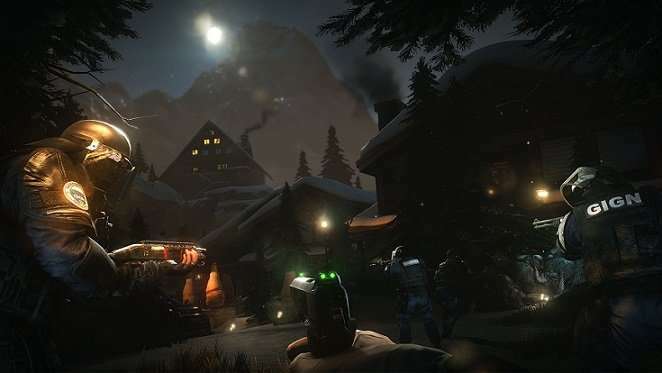 For better or worse, it showed that first person shooters could be done on consoles, and it paved the way for future features found within the genre such as overarching and meta-game progression. Ironically enough, one of the casualties of the narrative set forth by Call of Duty was Halo 4, a game that 343 Industries completely missed the mark as far as what made Halo feel like a Halo game. Like Halo 3, Call of Duty 4 had incredible gunplay. But unlike the sci-fi Spartan romp, Call of Duty 4 excelled more in the area of feedback. 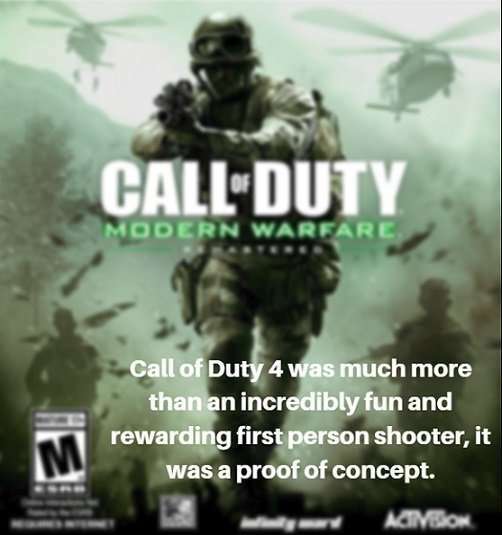 To fire and kill another player with an M16A4 was a fine feeling experience, and much of this was due to Infinity Ward’s approach towards framerate. COD 4 was one of the first console shooters to feature 60 frames per second, and it’s the reason why so many players described the experience as “smooth”. It’s an adjective that’s still used by many if you press them on why Call of Duty feels great to play. The framerate in conjunction with the actual act of aiming made one feel complete immersion between the chain of neural impulse, controller, and an AK 47 rattling off on screen. The game never fought back, it only obeyed. You could even say to the point of fault at times when accounting for aim assist. This control, notated with rhythmic ticks of hit registration, made you feel as though you were a commando jacked up on way to much caffeine, and killing in perfect harmony to the tune of some otherworldly classic hard rock song yet to be construed. Call of Duty 4 was simply a joy to control. And I think this execution of something so simple yet profound spoke volumes towards the mindshare that the series would and still holds today. Gunplay, you could say, is greater than the sum of its parts. You have the game engine driving the entire experience, audio and visual stimuli, and feedback letting the player know it’s there. There are a million different pieces in the background, and yet, as a singular concept it is simple as bricks. But when that destination hits, and all of the dynamic building blocks reach a momentary standstill, the possibility of a profound element in games, one that latches to the subconscious, is ripe for the picking. Amidst the satisfying nature of incredible gunplay, many modern shooters miss the mark entirely, and further yet, accomplish far reaching success despite this. It’s more prevalent on consoles, but can be seen on the PC side of things as well. While the last generation giants of the first and third person shooter genre both nailed great gunplay as well as offered something novel, the shooters of today are more often than not only offering novelty. It would seem as though as long as novelty is executed and polished to a certain extent, there truly isn’t a need for world class gunplay. Overwatch is a prime example of this. The insatiable thirst for Blizzard’s premier hero shooter began well before its official launch with its numerous private alpha builds, and finally, a public beta that cemented the light hearted title as the game to get. Upon its initial release, it was wildly successful on both consoles and PC, and is still one of the most popular first person shooters nearly 2 years later. Most recently, the official Overwatch eSports League debuted and hit the ground running by garnering over 10 million viewers in its first week. Blizzard’s recipe success is most certainly the combination of an affable art direction, a likable roster of playable characters, a somewhat novel spin on FPS design, and most importantly, an endless supply of polish. Overwatch is the epitome of Blizzard’s modus operandi in that it takes an existing concept, found in title’s like Valve’s Team Fortress, and then subsequently iterates while executing said iteration to perfection. 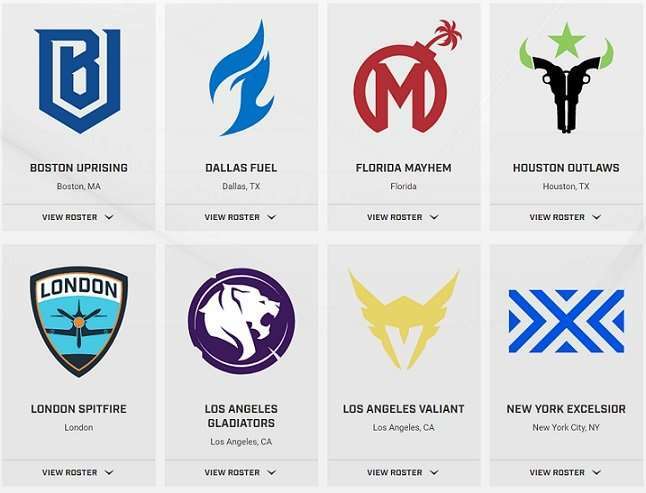 8 of Overwatch’s 12 League teams. Blizzard took something millions didn’t know existed and made it something they desperately needed. But for all of the polish and charm, Overwatch simply doesn’t match the greats of gunplay. Something about it just feels off, and this is even more apparent on the PS4 and Xbox One versions. There have been numerous threads on places like Reddit voicing concern for the gunplay on consoles, and several patches to address the aiming issues, but it still isn’t there. It doesn’t feel nearly as good as games like Titanfall 2, Destiny 2, and Call of Duty. Matched up against the millions consumed with the fun to be had with friends in quickplay or grinding out Skill Rank in competitive, these complaints are almost inconsequential. When a game like Overwatch nails so many different characteristics of a fun shooter, and garners the type of player retention it does, it really doesn’t make financial sense to constantly tweak something so few are concerned with. Overwatch was and is something new for millions of gamers, and it successfully managed to keep many invested with what it brought to the FPS market. It’s a perfect example of hitting the broad stokes in lieu of capturing the fine detail. I believe that when this generation is all wrapped up, the battle royale genre will be looked at as one of the most important pivot points in the shooter genre, namely due to Playerunknown’s Battlegrounds. 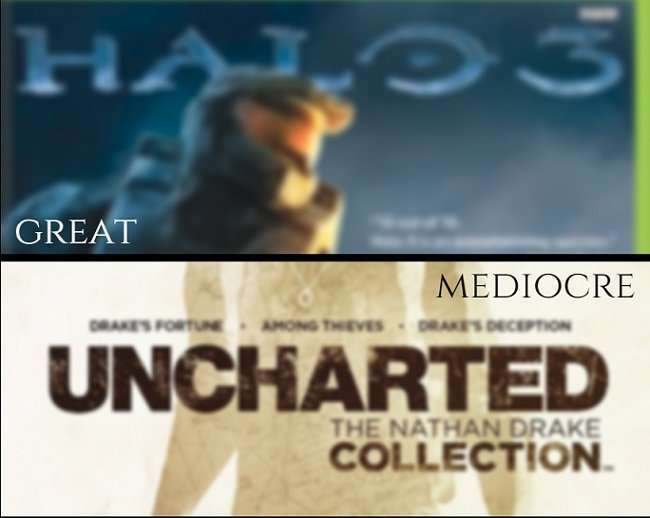 It’s only a matter of time before one of the big 3 AAA publishers take a stab at the meta genre, and just a little while longer before someone truly nails it. Whether it is EA, Activision, or Ubisoft is anyone’s guess but it will happen in time. The ceiling is as high as Mount Kilimanjaro as far as room for iteration is concerned, and things are only now just starting to kick off. Playerunknown’s Battlegrounds was the game to kick off the cultural phenomenon, and regularly reaches over 1 million concurrent players on Steam according to Steamcharts, but Fortnite Battle Royale has also made quite an impression on the shooter community at large, reaching over 45 million players according to most recent reports. 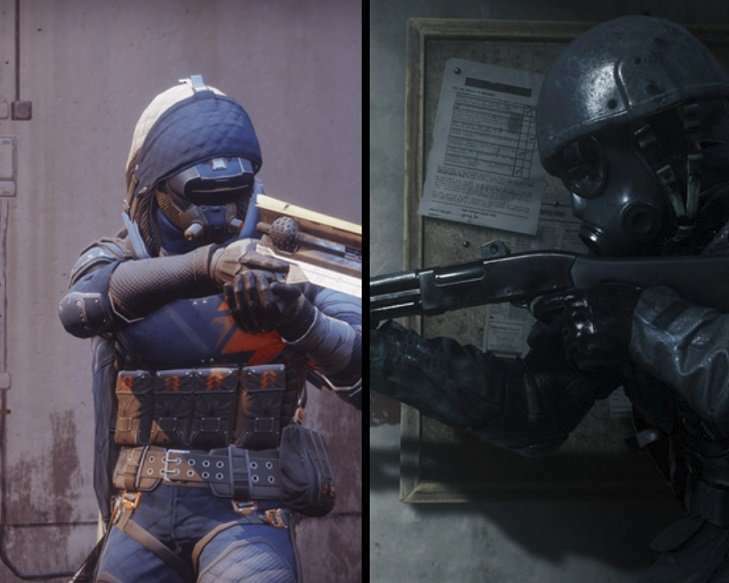 While both of these games offer an experience that is undeniably fun, novel, and immensely rewarding, gunplay in Fortnite and Battlegrounds, like Overwatch, is far from being world class. Playerunknown’s Battlegrounds even sports an all around package of jank and wonkiness. In a word, polish escapes the zenith of a shooter even in its official release. And yet, both titles have taken the online multiplayer sector by storm as evidenced by both player counts and a regular placement in the top 5 most watched games on Twitch.tv. Another marker of success for both Fortnite and Playerunknown’s Battlegrounds is a placement of 1 and 4 in the top 5 most played games on Xbox One respectively. Sony doesn’t release this data publicly but I would be hard pressed to find out that they aren’t doing equally as well. Most staggering is the fact that for all of the jank found within the PC version of Playerunknown’s Battlegrounds, the Xbox One version runs significantly worse, and performs exceedingly well in the face of this. The reasoning for monolithic success at odds with a failure to capture the essence of a base mechanic like gunplay is just as it is with Overwatch – providing something a player didn’t know they wanted supersedes all else. If I, someone a little too cognizant and particular regarding gunplay, can put all else aside when phased into games like these, it’s only natural that millions, the true majority, will do the same. When I’m playing duos in Fortinite Battle Royale with my buddy Sean, and we’re riding a buzzing tension of the pin drop sized endgame map, I’m not thinking about the particulars of what makes the game tick, I’m wrapped up in a combination of giddiness, pseudo survival instincts, and focus. Most importantly, I’m eclipsed by what Fortnite’s creators, Epic Games, have intended for me to experience. The constant and dynamic feedback between overarching game design at large and player experience within said design is what makes the current pioneers of the Battle Royale genre latch on to the minds of players in parasitic fashion. I may reflect on the gunplay feeling off in Fortnite during periods of downtime within a match, I may even bring it up to one of my friends, but it’s sure as hell not something in the foreground when actually consumed by moment to moment gameplay that defines the game and genre at large. This is why particulars like gunplay, especially when taken to the point of competency, are almost never going to get their time in the spotlight in shooters that push the genre forward, or offer some sort of iteration that is akin to a nurturing breathe of air amidst the recovery of strenuous exercise. Doing so requires more effort than most players realize, and fine tuning games of any kind is hardly the press of a few buttons that many would have you think. Games like Overwatch, Fortnite, and Playerunknown’s Battlegrounds are simply electric in this way. They deliver something that is inexplicably out of grasp in thought, but truer than words through the act of playing. My experience with the Halo franchise during the Bungie era firmly cemented, in my mind, what made a first person shooter feel incredible to play. Issues with netcode and opinions on aim assist aside, Halo 2 and 3 simply felt right when it came to the simple act of playing. They were both incredible games of their time for a multitude of reasons, but I don’t think they would have cemented themselves in the minds of gamers had they not fully executed gunplay as well as they did. Gunplay, when done correctly, can elevate the gameplay loop of any particular shooter and drive home a sense of total immersion. Below is a list of shooters besides the Halo series that I believe to have some of the best gunplay around. Both the initial installment in the overly ambitious space faring shooter and its recent sequel have, in my mind, the best gunplay on the market. Destiny and Destiny 2 excel so much in this regard that they manage to wipe away the muddled fluency that is the framerate on PS4 and Xbox One. I can only imagine how good Destiny feels to play on a capable PC, and have heard that it is a truly sublime experience playing at 60 frames per second or more. With the Halo franchise, Bungie dialed in on what made a shooter incredible to play with a controller, and with Destiny, they continued the trend of delivering punchy notes of fantastical gunfire. 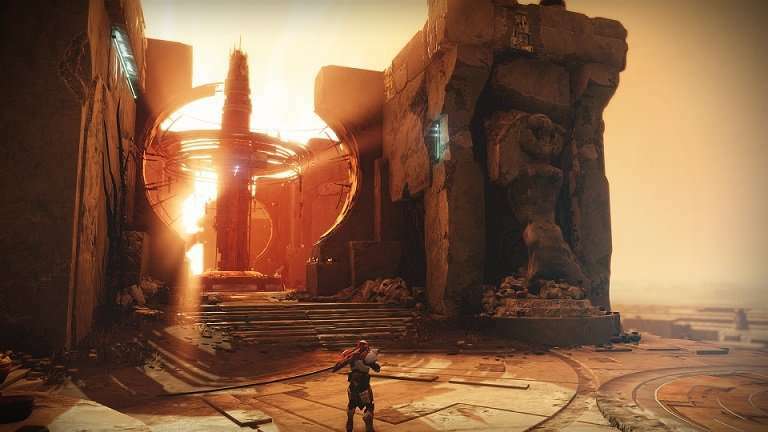 Like the Halo games, Bungie has crafted distinct archetypes of weapons and each performs in a distinct manner that sticks in your mind long after the last shot. The entire pipeline of gunplay is frictionless, offering a feel that fits like well worn jeans and is punctuated by unmistakable marks of cause and effect. From the exploding Vex “juice boxes” to the popping of Cabal heads, Destiny offers one of most satisfying shooting experiences when it comes to the simple act of playing. I’ve never played the original Titanfall but my 25 hours or so with the slept on sequel showed me that the heart of Infinity Ward, mechanically speaking, lives on through the frenetic franchise. Gunplay and gameplay intertwine in Titanfall 2 in such a way that makes the experience elapse in a general state of flow. Respawn Entertainment was founded by Vince Zampella, co-founder and previous CEO of Infinity Ward, and while Titanfall is certainly more in the realm of sci-fi, it’s roots in the Call of Duty franchise shows with its tight and satisfying gunplay. News from the reaper: Respawn Entertainment has recently been acquired by Electronic Arts. 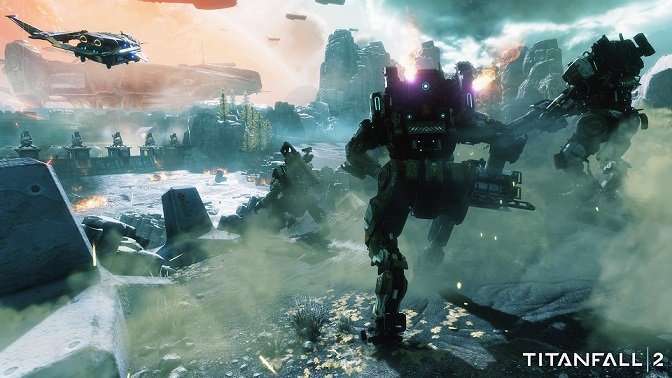 The good news is that Titanfall 3 is in the works. From the comfortable controls of weaponry and breadth of options for fine tune control settings, to the spine tingling ticks of the hit markers, Titanfall 2 delivers gunplay that is hard to come by on consoles. It even offers the option to kill others in PVP without using ADS (aim down sights) with certain guns in the arsenal, and quite competently. Add to this a campaign that is surprisingly well crafted both in narrative and game design, and you’ve got yourself one of the best modern shooter packages of this generation. While the community may not be as thriving as it once was, Titanfall 2 can regularly be purchased on the cheap, and for this reason, it would be stupid to pass it up as an FPS fan. 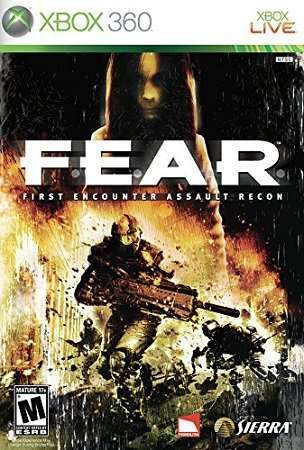 For me, F.E.A.R was one of the best walks off the trodden path of last generation. I played it on the Xbox 360 and to this day I still vividly remember the slow mo gun mechanic that made every bullet feel like a ton of bricks. I was so infatuated with the game (as was my brother), that I regularly dueled it out for the number 1 spot on the online leaderboards, and I wouldn’t be surprised if I put in over 100 hours with the game. What made F.E.A.R so excellent in terms of gunplay was its use of the slow mo mechanic in addition to the visceral feedback seen when pelting enemies with fire. The cherry on top to the warbled sense of time and incessant blood splatter was the brilliant display of physics. Enemies and players online would react in such a way that made you feel as though you had left a crater in the moment that had come to pass. At times, what you had done could literally be seen plastered against the walls. Players and enemies would fly, flail, and fall apart, but most importantly, the surrounding environment would react physically. The actual guns of F.E.A.R were just as foreboding as the feedback and physics of the game, whirling and droning away in deafening, unforgettable notes. If you’re ok with playing older games that don’t match up graphically to the modern era of near photorealism, then definitely nab this one. I don’t believe it is available as backwards compatible on the Xbox One so you would have to play on the Xbox 360, but you can purchase the game on Steam. The game is over 10 years old so it shouldn’t take much to run the game if you do decide to go the PC route. As a teenager during the golden days of Xbox Live, Gears of War was one of the games that I invested way too much damn time into. I was one of the dedicated types to reach the point where I unlocked the Seriously… achievement. To this day, I still consider the Gears of War franchise to be one of the most satisfying third person shooters to shoot, play, and kill in. Nothing beats the feeling of eviscerating someone with that rabid dog that is the Gnasher shotgun. Was it an overemphasized weapon? Possibly. But my God was the gunplay with that weapon satisfying. The Gears of War franchise excelled because of its game design and the toolkit it threw your way, but I firmly believe so many also adored it because of the hard hitting nature of its weaponry. I’ve played a little Gears of War 4 via my brothers Xbox One and it does seem to continue the trend low frequency nature established by the main trilogy. If you’re a newcomer to the series, or someone who has put it to the side, you can play the original trilogy via backwards compatibility on the Xbox One. 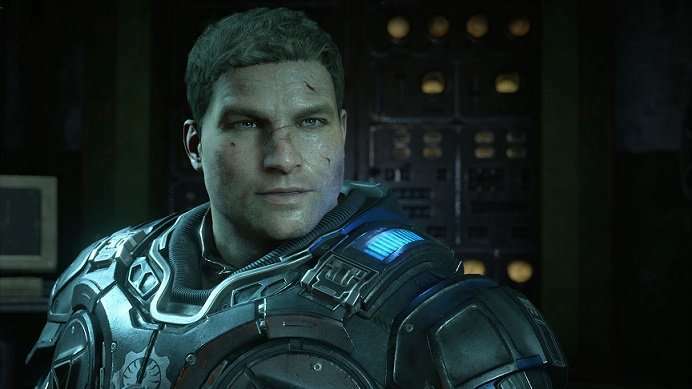 For the modern entry, Gears of War 4 is where you’ll want to head, and thankfully, this most recent installment stays true to the series’ roots. I first started playing the Rainbow Six series with Rainbow Six Vegas back on the Xbox 360, and it still remains to be one of my favorite games from last generation. Quick kill shots and the sheer lethality of the game made it something that was incredibly rewarding to excel in. It’s been quite a few years since I’ve played Vegas, but I do remember the gunplay being fantastic, and this combined with the general style of play made it one of the most satisfying first person shooters of the Xbox 360 era. The current generation iteration of Rainbow Six, Rainbow Six Siege, is much different than the Vegas titles, but is just as if not more rewarding when it finally clicks. Like previous Rainbow Six entries, Siege allows you to end someone’s life with one mere bullet in almost all situations. Even a lowly pistol has the ability to kill in one shot provided you hit them in the dome. Rainbow Six Siege feels different than a lot of console shooters due to the lack of aim assist, but it also has a type of thrill absent from said modern shooters. Much of the sound design of the guns echoes excellence, players are able to destroy many objects or shoot through walls with guns, and the feeling of seeing multiple enemies drop in the span of seconds due to precise bursts never gets old. Siege not only rewards controlled and precision fire, it also allows for novel ways of approaching its many different PVP encounters within matches. It’s a shooter about shooting and thinking, and this is what makes it stand out, not only in terms of gunplay, but as an entire package. Don’t see a game that you think has excellent gunplay? Let us know in the comments below.